A big thanks goes out to Jeremy for his guest review last week. I’m not sure about you guys, but I’d love to see him around here more often. As far as me, I am back on the wagon this week bringing you’re a review of the most interesting looking cigar this year, General Cigar’s Foundry. The Good Stuff: That’s right, that’s a big metal gear in the center of that band. The entire branding screams Steampunk, a design era/fad that I am just absolutely in love with. Think, Sherlock homes meets semi-modern day technology. Really cool stuff. The foundry is a secret concoction produced by none other than La Gloria Cubana’s front man Michael Gianini. The blend is actually a secret. From what I was able to gather the only thing anyone knows is that the cigar contains no Nicaraguan, Dominican, or Honduran tobacco and the wrapper is called “H-47 Pleno Sol” and is grown in Connecticut. Gianini said he wanted to create something completely different and I truly believe he did just that. The “Gear” ornament is actually part of a bigger picture. Each year Gianini plans to create a new blend with a new ornament and in the end it will all come together as something really special. The Foundry will come in 4 sizes: The Wells (6×50), the Lovelace (6.25 x 54), the Talbot (5×60), and the Cayley (6.5x60x56x4). They will range from $7.95 – $9.45 a stick. The samples were sent over to us from our good friends and General Cigar. 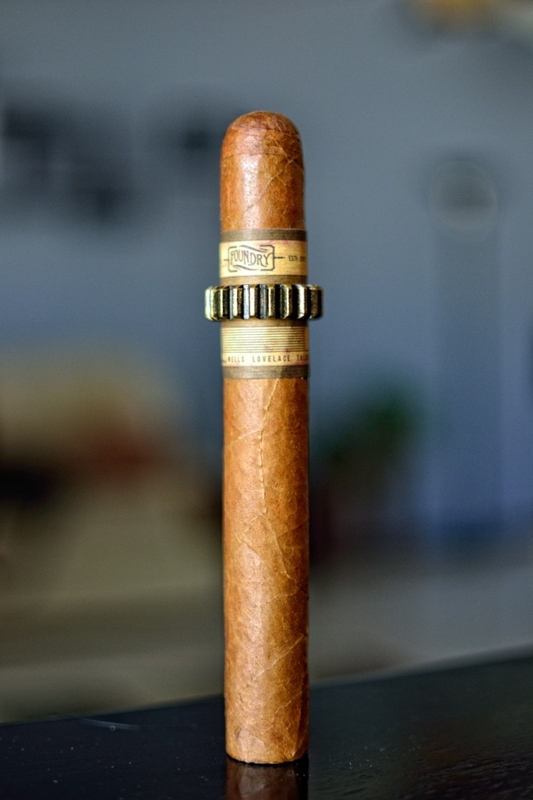 Prelight: The Foundry is a beautiful cigar. Each of the samples I received were spot-on in terms of construction. 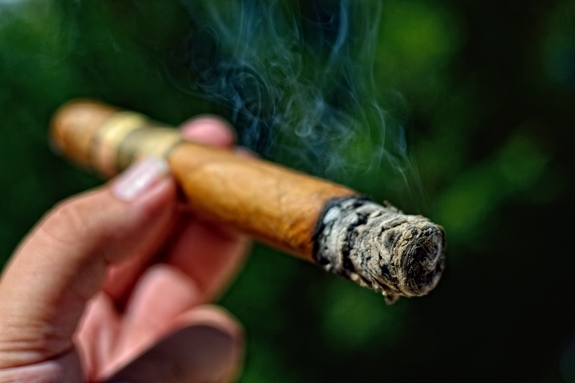 The cigar starts with a beautiful, very oily, smooth, consistent, light brown wrapper. There are a few veins tossed into the body, but nothing too alarming. What is really impressive is the amount of oil on the wrapper of this cigar. The long body leads through the crazy, old style, industrial “Foundry” band with a large metal gear placed over the center of it before leading up to the round triple cap. Marketing is obviously in play here, but I do like the look of the Steampunk style band design. It’s original and fun. The band itself has the words “Foundry Tobacco Co. EST. 2012” as well as the names “Wells, Lovelace, Talbot, and Cayley” on it. These are the names of each of the sizes in the line. There is also a printed number, mine is “781961” which at first glance, would have me guessing it’s the serial number for the cigar in hand. But all of my samples had the same number so there must be some other meaning behind it. A birthdate maybe (7-8-1961)? Who knows. Lets look passed the marketing and get into the cigar. The foundry is really dense giving very little as I squeeze it between my fingers. The wrapper feels a bit toothy, and even a bit delicate as I find absolutely no soft spots at all. The wrapper doesn’t give off much aroma, the only thing I could really pull off was some subtle cedar and tobacco while the foot carries a very natural, organic, earthy, tobacco aroma. Seems pretty straight forward, let’s see if it smokes the same. The cap cut very clean and easy using my double bladed Palio cutter. What an interested cold draw. 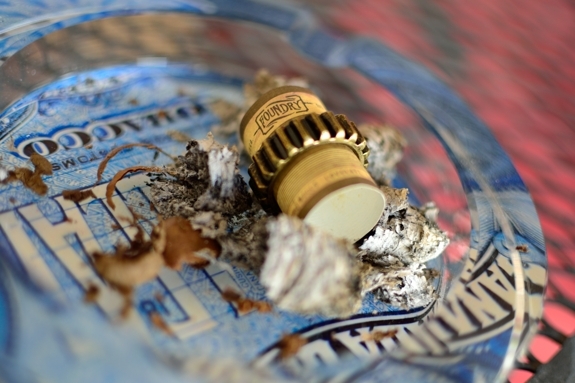 The Foundry gives out a very slight cedar, lots of natural tobacco, and a really interesting mossy type flavor. I wasn’t expecting that. First Smoke: The mossy flavor actually carried over a bit into the experience on this Foundry cigar. 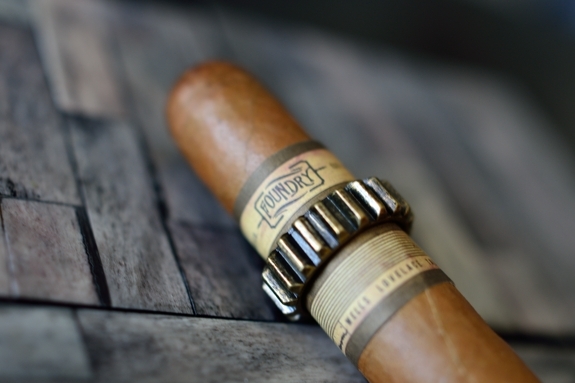 The Foundry starts off with some slight mossy/sandy flavors with light tobacco, leather, and just a hint of cedar. 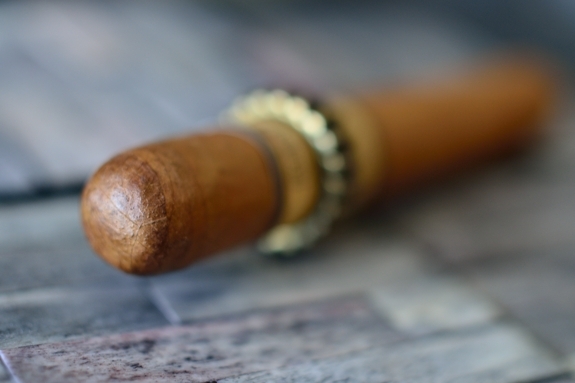 The draw on this cigar is remarkable. It takes almost not effort to fill my mouth with thick, white smoke. While the draw is plentiful, the stationary smoke is not. The burnline started off a bit whacky (usually that’s due to poor lighting) but started to correct itself as I neared the end of the first third of the cigar. The ash is a bit flaky with a bright white and dark grey color. It only held on for about an inch before it fell into my ashtray. Halfway There: Much of the same to report in the Foundry Experience. The flavors are stilly really mossy/muddy with lots of natural tobacco, leather, and slight bits of cedar. It’s also leaving behind a really chalky aftertaste. The burnline has corrected itself 100% though and is now burning light a champ. The retrohale coats my nasal passage with nothing more than a light tobacco and smoke prime and I am feeling absolutely nothing in the nicotine department. The single dimension in this experience is starting to weigh on me and at this point I am really hoping that the cigar changes up drastically in the final third. Finish: I’m sad to say there have really been no changeups into the final third of this Foundry. The only addition was a slight pine flavor that started showing through. Outside of that still the same tobacco, leather, mossy flavor with hints of cedar. Outside of the flavors the experience has been perfect. The burn is perfect, draw it perfect, and the great construction lead to an hour and a half long smoke with not touch ups or relights. 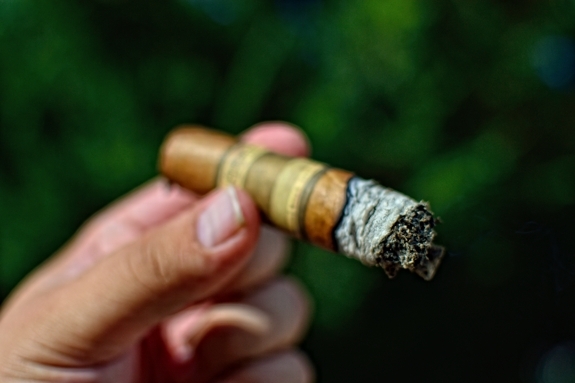 The cigar remained smooth, mild, and creamy all the way through with no nicotine kick, and only a slight chalky aftertaste. Overview: Needless to say the Foundry wasn’t for me. The mild, on dimensional experience just didn’t appease my palate. That being said, anything else that I could have asked for in a cigar was there. Awesome design, great packaging, wonderful construction, excellent burn, and great experience. 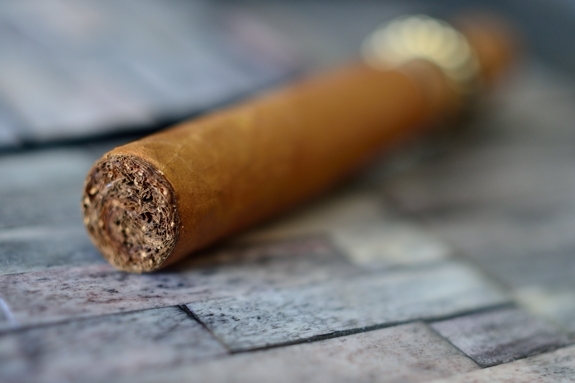 I could see this cigar really being something that more mild cigar smokers are going to love. It’s different than most other milder cigars out there, that’s for sure. It just wasn’t my cup of tea. Pairing: You may notice this is one of the first pairing in which I didn’t use a glass. That’s done on purpose. I find that personally, I like the flavor of Irish red beers more when they come from the bottle. The head on the brew needs less room to breath so this Werewolf from Newcastle comes out smooth, straight from the bottle. I’ve had quite a few of these beers and it’s been my personal preference. This does not go the same with the standard Newcastle brown ale. In fact, just the opposite as I feel that brew needs lots of head and lots of breathing space to really pronounce the flavors and aromas. 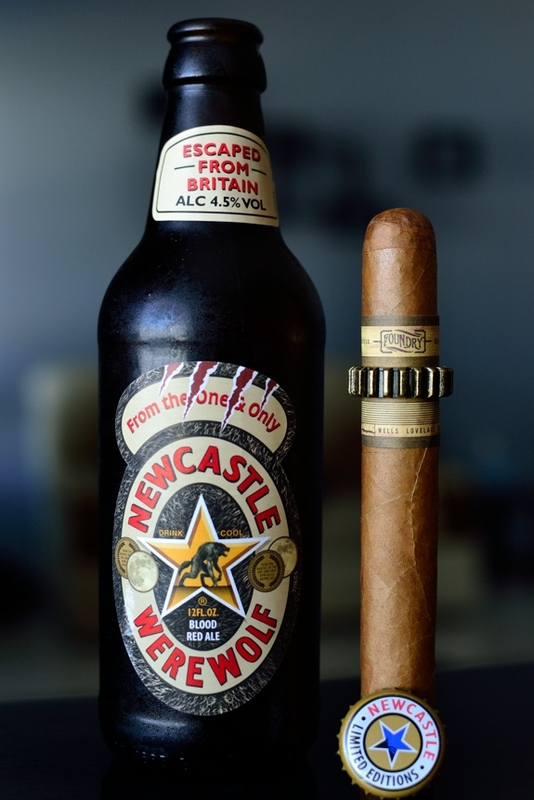 Anyways, werewolf is one of the first Limited Edition brews that Newcastle has released into the wild. This is a simple dark, red ale brewed at the Caledonian Brewery in Edinburgh, UK. This 4.5% “Blood” red ale is smooth through and through. Starting off with some smooth cocoa, caramel, and malt finishing with some sweet fruit and light citrus overtones. This is a great fall seasonal beer and is one of the smoothest brews I have had all year. Be careful, you might find yourself throwing them back. I already new the foundry had some uniqueness to it, as well as a lack of strong, standout flavors and complexity. I didn’t want to overpower that with a beer with tons of flavor and deepness so I paired it with something really light and subtle which could let the cigar really speak for itself. I’m a little confused by the marketing for this cigar. 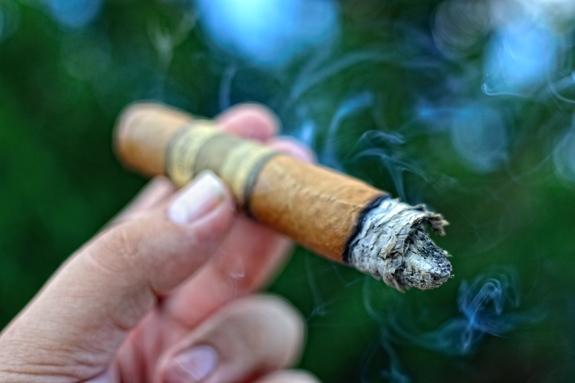 It seems to be focused toward younger smokers, but don’t they prefer stronger, edgier cigars? I tend to think that a lot of us older farts aren’t going to want to buy into the elevated cost just to play Collect the Parts. I do appreciate them going outside the norm with tobacco selection, but the results don’t sound very exciting or enticing. Thanks for the review, but this is one I won’t actively seek out. Sorry about the delayed response man, I’ve been out of town. HA! You know what? I REALLY didn’t like the Red Hoptober. It was just too much for me 🙁 I’m not a big hops guy which is why I tend to stray away from IPA’s. I’m not sure if they are really targeting the younger crowd directly, or just trying something new and different. That, I totally applaud them for. General has really seemed to want to try new things as of late. Just found these cigars in tobacco shop in Sarasota, FL…….Tried them as a lark…. It smokes very smoohly, not hint o heat feom stem to stern….shape is unique…..part of the appeal……….they seem to be what I’ve been looking for…….I walk at night nand look for my favorite stars….The cigar is a great companion……..I’m switching as of right now…….the idea is novel and the taste and aroma is very appealing……. Thanks to thr folks who bought his new shape and really good smoke to the market…….I’ve been a cigar (only) smoker for 50 years….started as a young LTjg on a destroyer in Pacific….